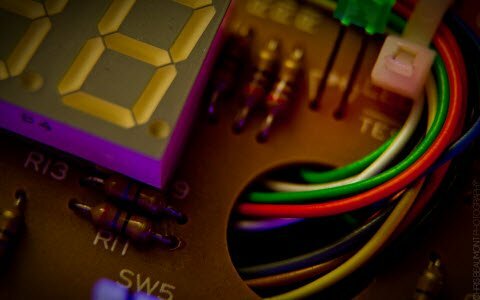 In our day to day life, we come across various situations where we have to measure physical quantities like mechanical stress applied on metal, temperature levels, Pressure levels etc…For all these applications we need a device which could measure these unknown quantities in units and calibrations familiar to us. One such device which is most useful to us is the TRANSDUCER. The transducer is an electrical device that can convert any type of physical quantity in the form of proportional electrical quantity either as voltage or electrical current. From the large pool of various type of transducer, this article aims to explain about piezoelectric transducers. The definition of a Piezoelectric transducer is an electrical transducer which can convert any form of physical quantity into an electrical signal, which can be used for measurement. An electrical transducer which uses properties of piezoelectric materials for conversion of physical quantities into electrical signals is known as a piezoelectric transducer. 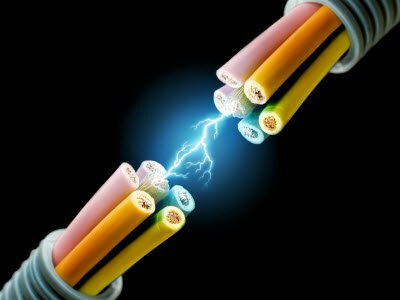 Piezoelectric materials exhibit the property of piezoelectricity, according to which on the application of any type of mechanical stress or strain leads to the generation of an electric voltage proportional to the applied stress. This produced electric voltage can be measured using voltage measuring instruments to calculate the value of stress or strain applied to the material. Naturally Available Ones: Quartz, Rochelle salt, Topaz, Tourmaline-group minerals, and some organic substances as silk, wood, enamel, bone, hair, rubber, dentin. Artificially manufactures piezoelectric materials are Polyvinylidene difluoride, PVDF or PVF2, Barium titanate, Lead titanate, Lead zirconate titanate (PZT), Potassium niobate, Lithium niobate, Lithium tantalate, and other lead-free piezoelectric ceramics. 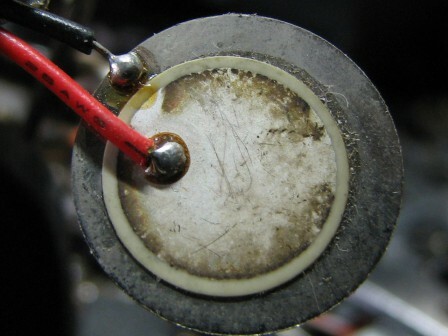 Not all piezoelectric materials can be used in piezoelectric transducers. There are certain requirements to be met by the piezoelectric materials to be used as transducers. 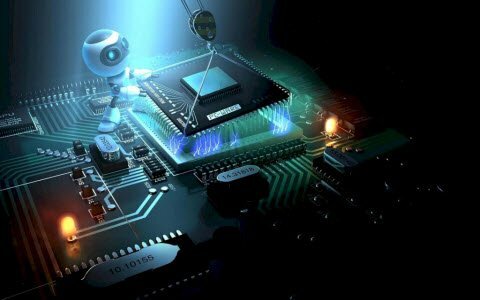 The materials used for measurement purpose should have frequency stability, high output values, insensitive to the extreme temperature and humidity conditions and which can be available in various shapes or should be flexible to be manufactured into various shapes without disturbing their properties. Unfortunately, there is no piezoelectric material which has all these properties. Quartz is a highly stable crystal which is naturally available but it has small output levels. Slowly varying parameters can be measured with quartz. Rochelle salt gives the highest output values but it is sensitive to environmental conditions and cannot be operated above 1150F. Piezoelectric Transducer works with the principle of piezoelectricity. The faces of piezoelectric material, usual quartz, is coated with a thin layer of conducting material such as silver. When stress has applied the ions in the material move towards one of the conducting surface while moving away from the other. This results in the generation of charge. This charge is used for calibration of stress. The polarity of the produced charge depends upon the direction of the applied stress. Stress can be applied in two forms as Compressive stress and Tensile stress as shown below. 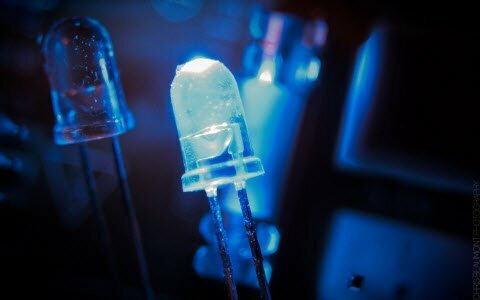 The orientation of the crystal also effects the amount of voltage generated. Crystal in a transducer can be arranged in longitudinal position or transverse position. Where F is the applied force,d is the piezoelectric coefficient of the crystal. Piezoelectric coefficient d of quartz crystal is around 2.3 * 10-12 C/N. When the ratio b/a is greater than 1 the charge produced by transverse arrangement will be greater than the amount generated by longitudinal arrangement. The working of a basic piezoelectric transducer can be explained by the below figure. Here quartz crystal coated with silver is used as a sensor to generate a voltage when stress is applied on it. 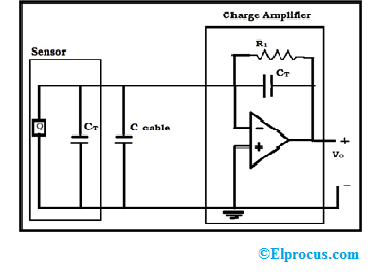 A charge amplifier is used to measure the produced charge without dissipation. To draw very low current the resistance R1 is very high. The capacitance of the lead wire that connects the transducer and piezoelectric sensor also affects the calibration. So the charge amplifier is usually placed very near to the sensor. So in a piezoelectric transducer when mechanical stress is applied a proportional electric voltage is generated which is amplified using charge amplifier and used for calibration of applied stress. 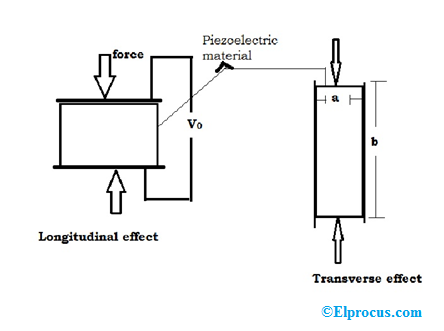 The ultrasonic piezoelectric transducer works on the principle of the converse piezoelectric effect. In this effect when electricity is applied to a piezoelectric material, it undergoes physical deformations proportional to applied charge. The circuit of the ultrasonic transducer is given below. Here, the quartz crystal is placed between two metal plates A and B which are connected to the primary L3 of the transformer. 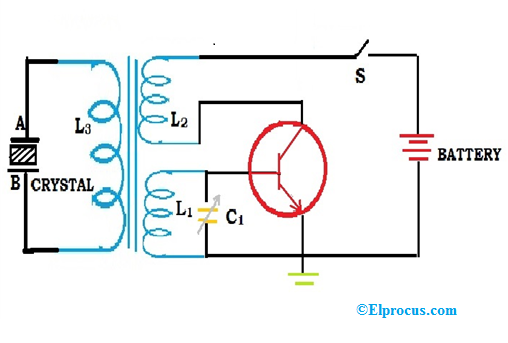 The primary of the transformer is inductively coupled to the electronic oscillator. The coils L1 and L2, which forms secondary of the transformer, are connected to the electronic oscillator. When the battery is turned ON the oscillator produces high-frequency alternating voltage pulses with a frequency f=1÷(2π√L1C1). Due to this, an e.m.f is induced in L3 which is transferred to the quartz crystal through plates A and B. Due to converse piezoelectric effect the crystal starts contracting and expanding alternatively thus creating mechanical vibrations. Resonance takes place when the frequency of the electronic oscillator is equal to the natural frequency of the quartz. At this point, quartz produces longitudinal ultrasonic waves of large amplitude. 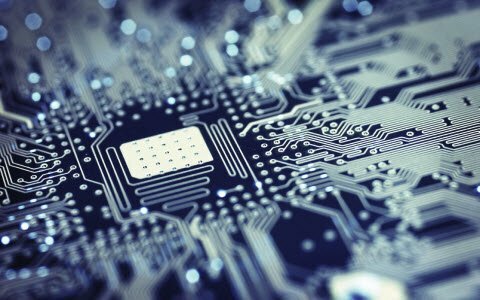 As piezoelectric materials cannot measure static values these are primarily used for measuring surface roughness, in accelerometers and as a vibration pickup. They are used in seismographs to measure vibrations in rockets. Used by automotive industries to measure detonations in engines. These are used in ultrasonic imaging in medical applications. The advantages and limitations of piezoelectric transducers include the following. These are active transducer i.e. they don’t require external power for working and are therefore self-generating. The high-frequency response of these transducers makes a good choice for various applications. Temperature and environmental conditions can affect the behavior of the transducer. They can only measure changing pressure hence they are useless while measuring static parameters. Thus, this is all about Piezoelectric Transducer, Working Principle, Formula, Circuit with Working, Advantages, Limitations, and also Applications. From the above information, there are various applications of Piezoelectric transducer as we have discussed. 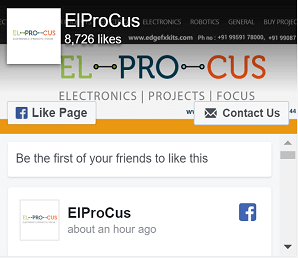 For which application have you used the piezoelectric transducer? How was your experience?